This Dandridge hotel is 33 miles from Great Smoky Mountain National Park. The completely non-smoking hotel offers a flat-screen TV, microwave and refrigerator in every guest room. Hampton Inn Dandridge serves a hot breakfast every morning. Guests can enjoy the indoor swimming pool or the modern gym. A business center with fax, print and copy services is also available. Downtown Dandridge and Douglas Lake are a 5-minute drive from the Hampton Inn. Dollywood theme park is 27 miles away. 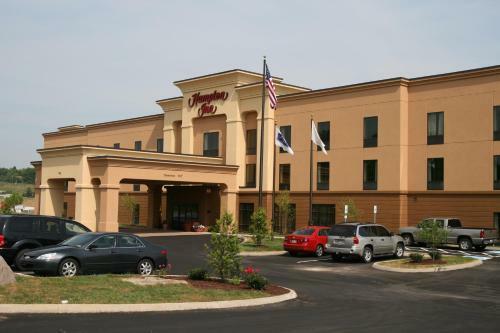 the hotel Hampton Inn Dandridge so we can give you detailed rates for the rooms in the desired period.